How many times, when picking up fish food at your local reef store, have you encountered the bold claim plastered on the label, stating that: “This food will improve your fishes’ coloration”? 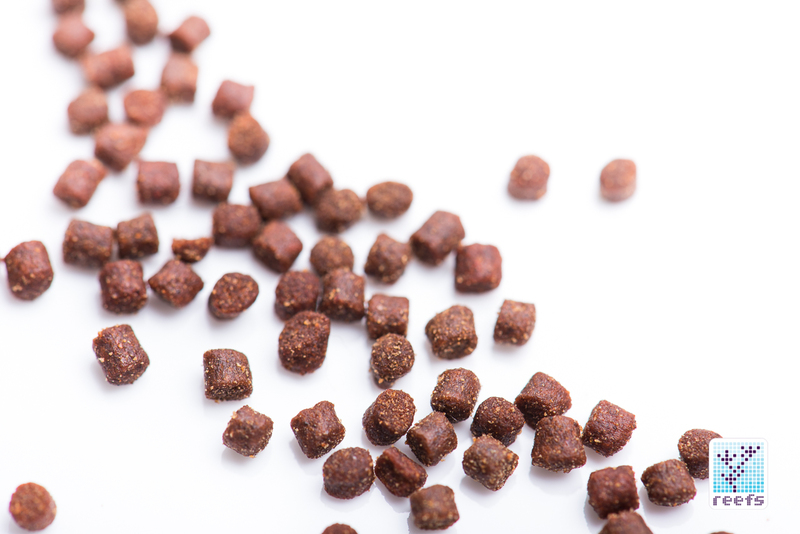 Most of us, whenever we decide to buy that particular fish food or not, will take this statement with a grain of salt and for good reason- after all, how can you tell if what you feed your fish is really changing their coloration? But it turns out that, by adding a specific organic compound to the food in just the right ratio, you can! And there is scientific proof for that claim, which Reed Mariculture’s APBreed, now branded under the Reef Nutrition label, used to modify their flagship TDO Chroma BOOST food. 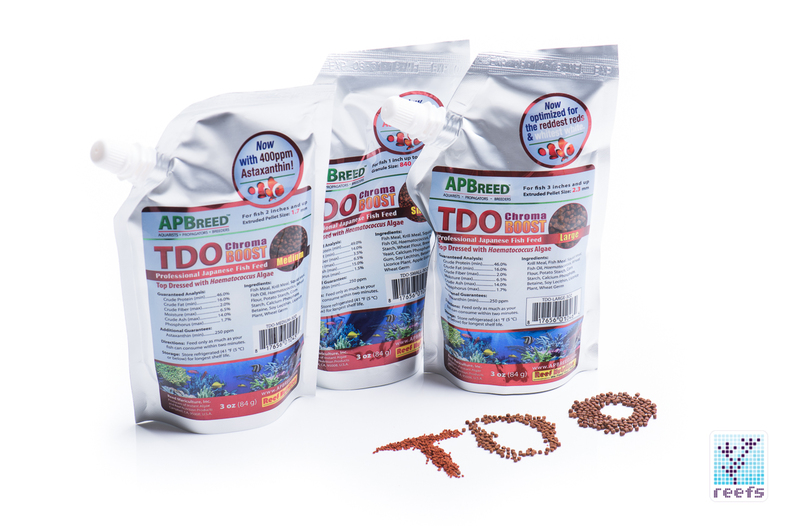 Since 2011, APBreed has provided large and small scale marine fish breeders, as well as hobbyists, with shared experience, tools, and various foods specific for saltwater animals (hence the name- Aquarist, Propagators & Breeders). 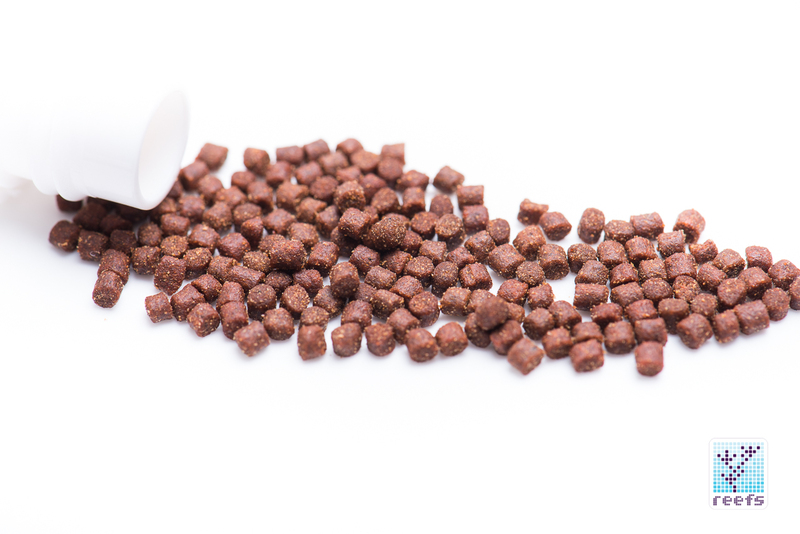 Legions of hobbyists and professional breeders alike owe much of their success to APBreed’s line of foods, especially the highly regarded TDO Chroma BOOST granules & pellets. Chroma BOOST is not a new product, but what is new for 2017 is the amount of the keto-cartenoid Astaxanthin, which has been upped from 250ppm to 400ppm, following the scientific study, which concluded that 400ppm is the most optimal amount of Astaxanthin for best coloration in Amphirion ocellaris (“false Percula clownfish”). 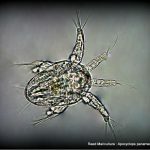 The experiment was carried out using 240 Amphiprion ocellaris fish divided into 6 separate aquariums. Each group was fed TDO Chroma BOOST food with different levels of Astaxanthin added- 0, 150, 250, 400, 640 and 1020ppm. 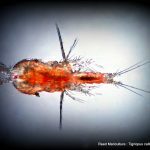 After seven weeks of feeding that mixture exclusively, the researchers presented the results to a panel of six local pet store owners with experience in marine fish husbandry for evaluation. 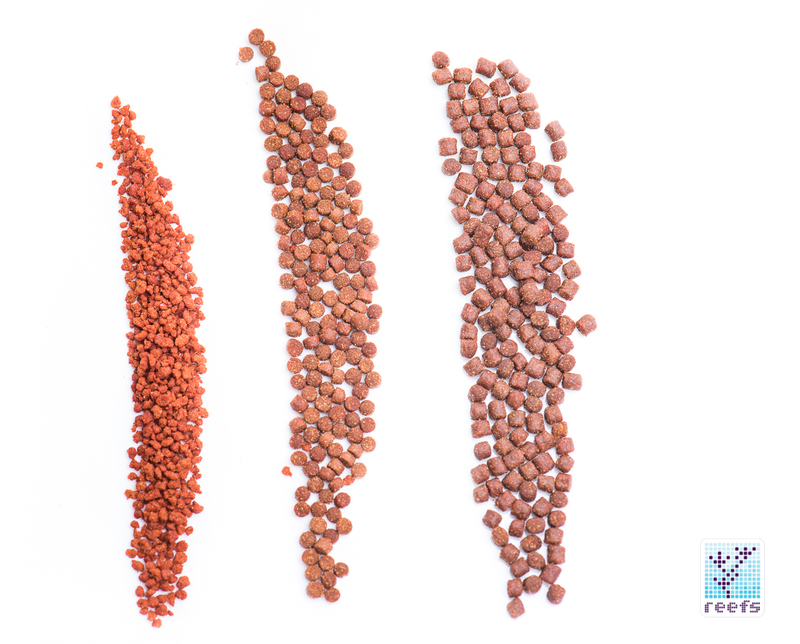 Each person in the panel was asked to assign a color preference score (in a scale from 0-10) for each of the six groups of fish, and the group that was fed Chroma BOOST with 400ppm of Astaxanthin received the highest average score of 8.3. 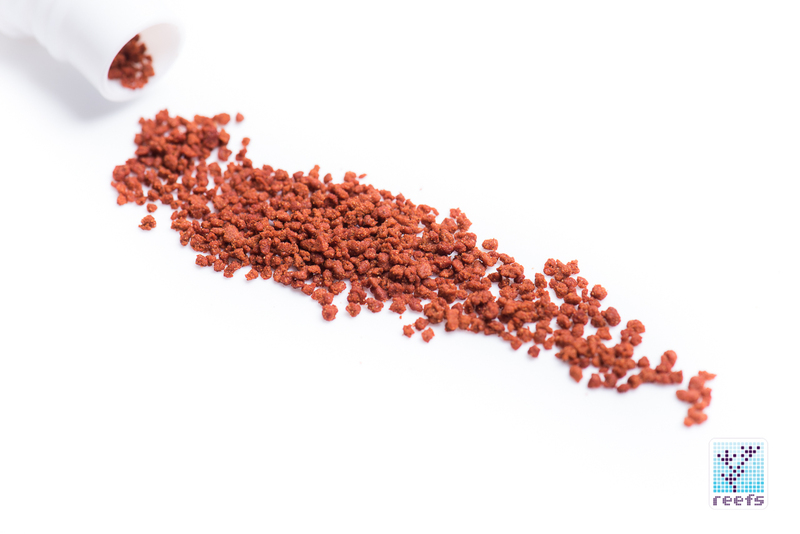 Second in the average preference score was the group of fish fed at 250ppm of Astaxanthin, with an average score of 5.3 The results of this experiment prompted APBreed to tweak the Astaxanthin levels in their TDO Chroma Boost food to 400ppm, from the original 250ppm. Please note that the label on the food packs I received for this article still lists guaranteed Astaxanthin content at 250ppm, followed by a second sticker stating that the content has been upped to 400ppm. 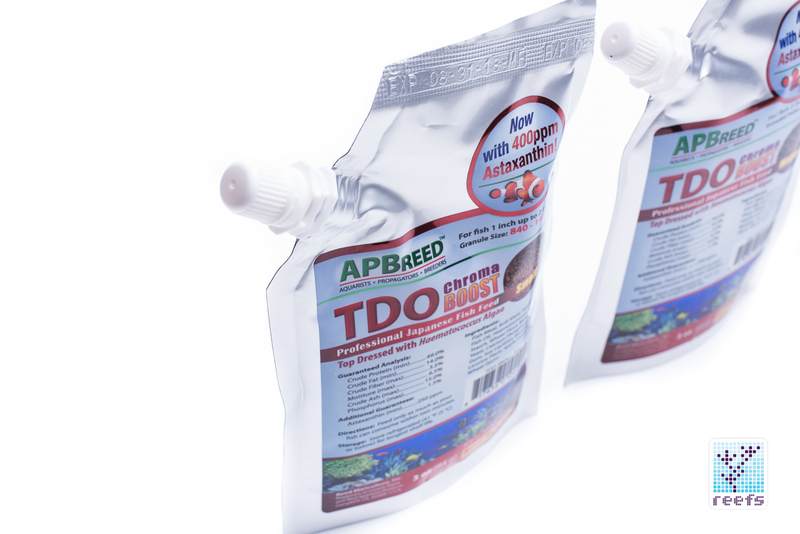 Future batches of TDO Chroma Boost will have the label updated, according to the company. 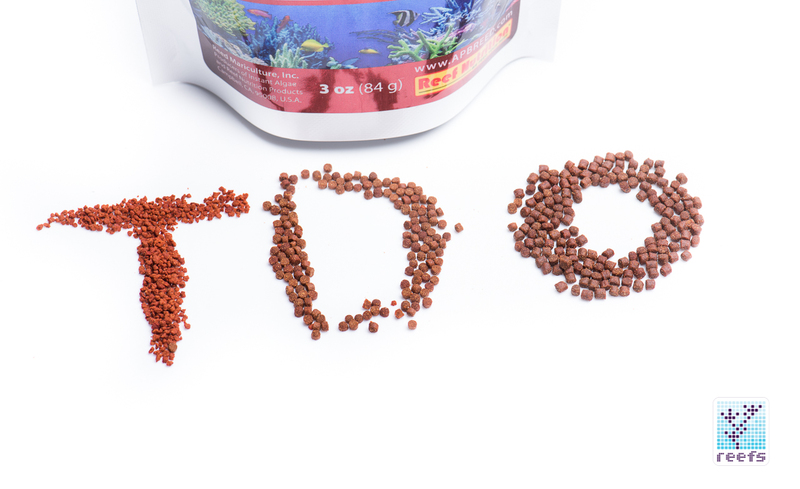 Other than changing the Asthaxanthin content, TDO Chroma BOOST ingredients and form factor remain the same. 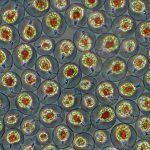 We still have seven different sizes available, 4 of which are designed for larval, post-larval stages of growth, and for young fish. The remaining three are formulated for adult fish of different sizes and were relabeled from the original EP1, EP2 and C2 to the new, simpler naming: -Small (formerly C2) -Medium (formerly EP1) -Large (EP2) Look at the pictures below for size comparison: All three sizes I received for this review are available in 3oz (84g) pouches, as well as 1lb and 2kg bags, or as a Value Pack that contains 3 oz packages of each Small, Medium, and Large varieties. 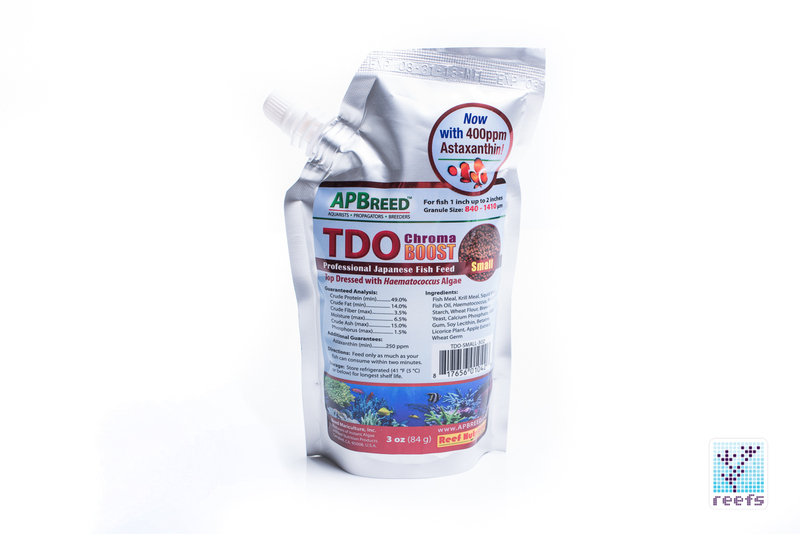 I was a big fan of TDO Chroma BOOST even before APBreed tweaked its content, mainly for the fact that, in my experience, it’s the first dry food finicky eaters consume when I try to wean them off live/frozen food. All the fish in my tank, except for a single copperband butterfly that refuses to eat anything that doesn’t look like Mysis, devour Chroma BOOST in seconds. 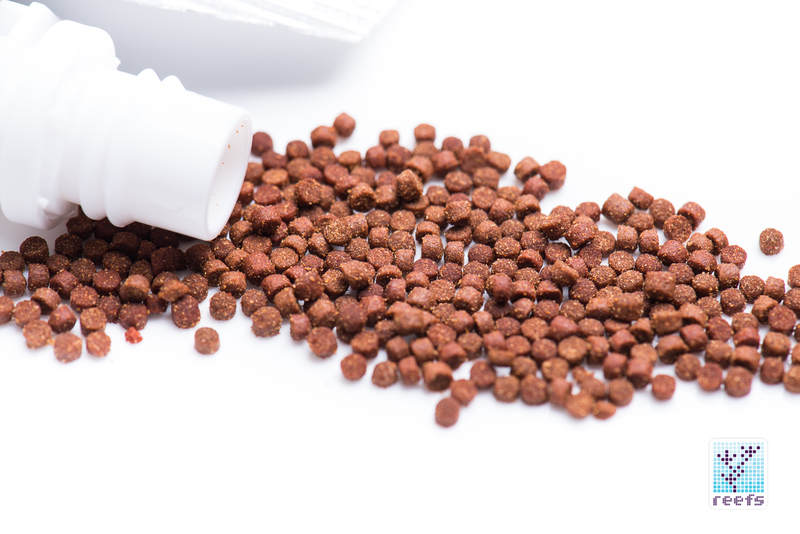 Additionally, I love the packaging APBreed uses; it prevents moisture to enter the container and I can feed my fish directly from the pouch without the risk of dumping out large quantities of food all at once. 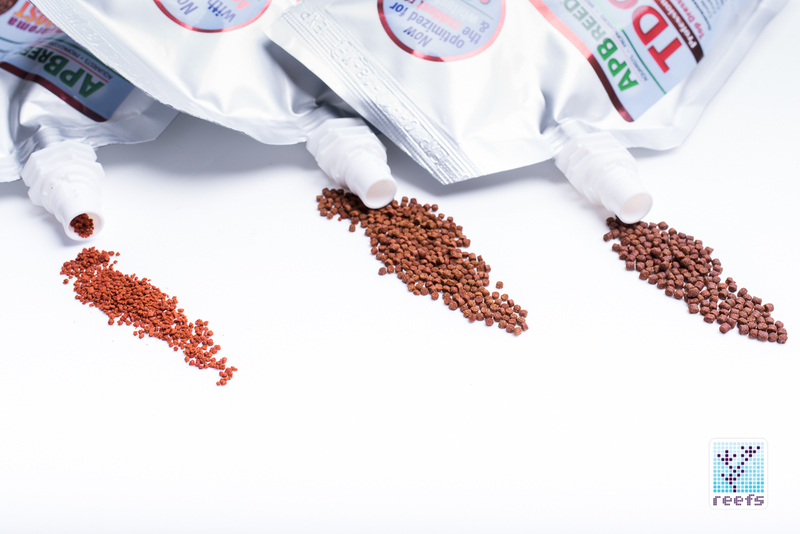 I should also mention that Chroma BOOST is my food of choice for automatic feeders, I use the small mixed with medium in an Eheim feeder when I am away for vacation and I’ve never had a problem with granules clamping together. 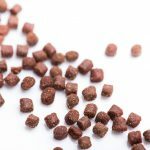 I mainly use small and medium pellets to feed my mix of medium-sized reef fish that includes a few wrasses, two Genicanthus angelfish, a Blue Eye Bristletooth Tang, a few small gobies and blennies, and various reef shrimp. 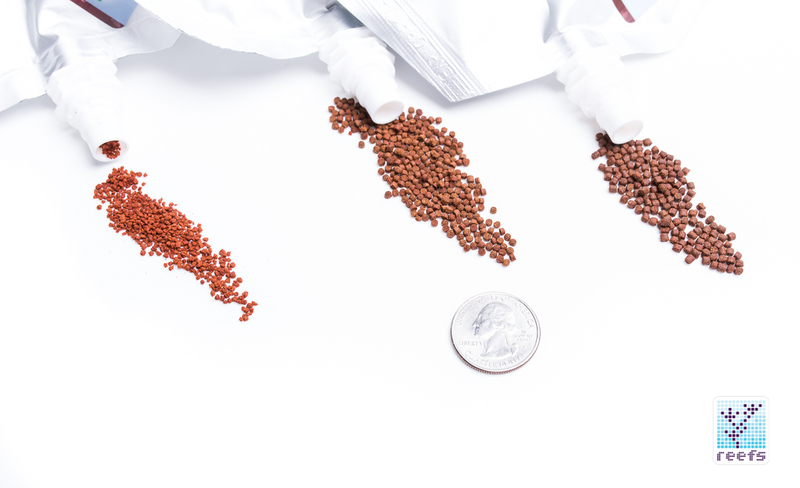 Most of my fish accept both sizes, but the large pellets are good only for the Angels, the Tang, and my two larger wrasses. 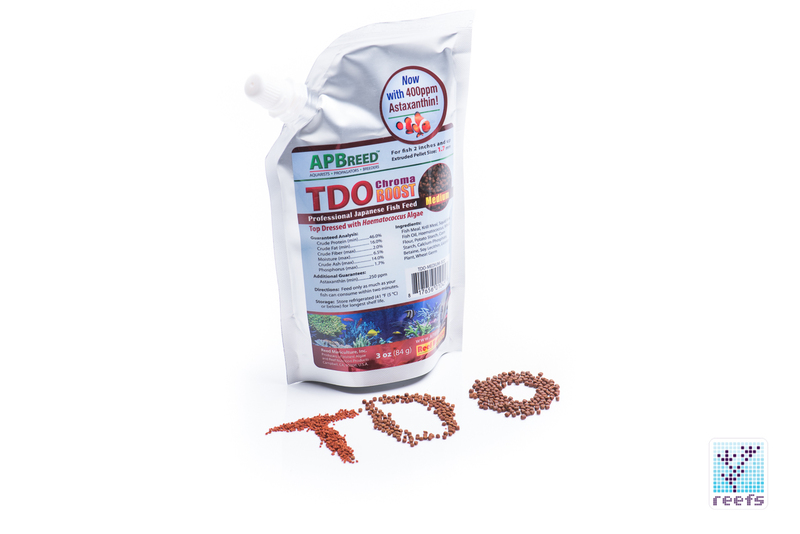 I would recommend the small TDO Chroma Boost pellets for nano sized fish, the medium pellets as a general feed for medium to large sized reef fish and large pellets for, well, larger fish like non-reef safe Angelfishes, larger tangs, etc.